If you need to get rid of some stuff before putting your belongings in a storage unit at Affordable Family Storage, selling it online may be the most convenient way to do it. But how do you sell quickly when selling online? 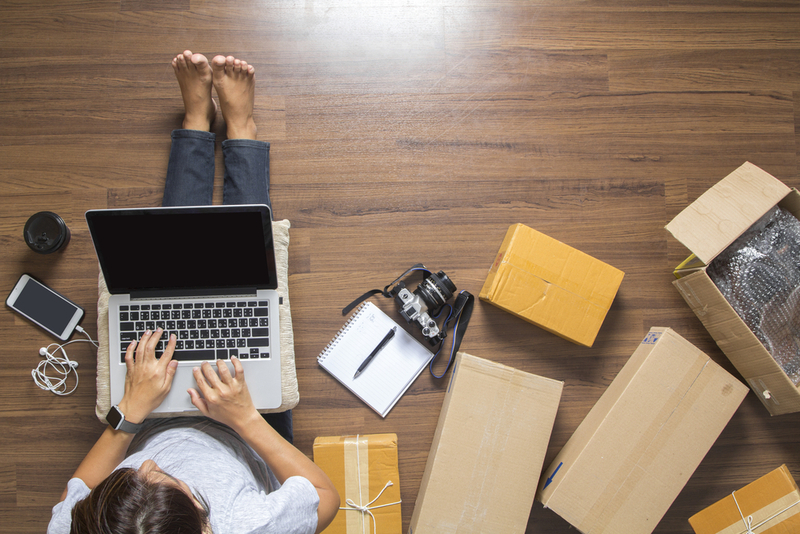 Today in the Affordable Family Storage blog, we’ll give you some handy tricks and tips to use when selling your stuff online. The first thing you’ll want to do is decide what websites you want to use to sell your things. The best options right now are Craigslist, LetGo, and the Facebook Marketplace. These services will make sure you reach a large number of people, and they’re free to use. At Affordable Family Storage, we recommend listing your stuff on at least two or three websites if you’re looking to get rid of something quickly. Now that you’ve decided what platforms you want to use to sell something, it’s time to create your listings. The first thing you need to do is take pictures. It’s good to take several pictures of your item so users can see all the angles. Also, make sure your pictures are high-quality and framed well. If you have low-resolution photos, users may suspect there’s something wrong with the items and ignore your listing altogether. Most of the time, your camera on your phone should suffice. After you have your pictures, you’ll want to fill in your description with any pertinent information. Describe the item in the best detail you can. If there’s anything wrong with it, make sure you make that clear in the listing. People will be unhappy with a dishonest seller. Finally, it’s time to price your item. You can price it to sell if you want it to go quickly. Otherwise, set a price that you think is fair, but be open to negotiation. If you’re not sure what to price it, see if there are similar items people are selling elsewhere online and base your price point on that. Asking a friend what they’d pay for it is another good way to get an idea of what price to set it at. Price will always vary depending on a number of factors, so here at Affordable Family Storage, we recommend just going with your gut feeling. You can always change the price if you’re having trouble selling it. Decluttering your life is a great feeling. For everything you don’t have room for but still want to hold on to, choose Affordable Family Storage. We have storage solutions for you. If you’re not sure what size you need, simply use our easy storage calculator. For more information, contact Affordable Family Storage today.